The writing has to come out somewhere… I was working in RTÉ’s Fair City office but on the administration side of the stories. When I started out in that job it was much more creative and I was doing a lot more writing, but the job evolved and things gradually got worse and worse until eventually I was just doing pure administration. But I was writing bits and pieces while I was doing that – a six-part series for TG4, a radio play and a TV play. There’s nothing to stop anybody from writing a book… I got four weeks’ annual leave on that RTÉ job. Two of those weeks I would go to the artists’ retreat at Annaghmakerrig to write my book. I wrote it over five or six years during those two solid weeks at Annamakerrig each year, and in the evenings and at weekends. I didn’t know anything about agents or publishers… I sent the first three chapters to Brendan Barrington of Penguin Ireland. He sent a note back saying he would be interested in seeing more when it was finished. When it was completed, I sent the whole manuscript to him and he politely declined. I know Claudia Carroll who is represented by Marianne Gunn O’Connor… so I sent it to her and a couple of other agents of authors I really admire. Marianne was the first to come back to me and said she would like to represent me. It got rejected left, right and centre… Marianne put it out to all and sundry. I think she stopped telling me after the 19th rejection. Nobody wanted it. They all had the same criticism about the ending – they didn’t like it. Marianne said she had never had so many ‘near hits’… She was on the brink four or five times with separate publishers. In each case, it was rejected because they didn’t know what genre it was, and while the editors liked it, the marketing department vetoed it. I still felt it was going to be published… but maybe in a really small way by an independent publisher, and that it would come and go without trace. Marianne appointed an editor to me… to see if there was something we could do with the ending. I rewrote the entire latter half of the book within about a month. Marianne sent it out again. 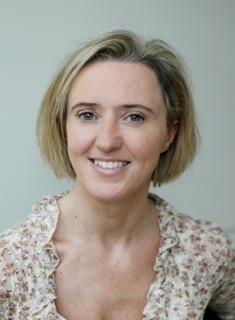 The Penguin Ireland editor Patricia Deevy asked to meet with me… I thought it was funny because her colleague Brendan Barrington hadn’t gone for it. I didn’t realise that just because one person in a publishing house rejects it doesn’t mean everyone there will turn it down. Patricia would have very different taste to Brendan. She loved it. She met with me in the Shelbourne Hotel for a coffee… No matter what she said, I just agreed. I didn’t want to put her off. Like Marianne, I trust Patricia so much. She’s a great editor – a lot of material got jettisoned, and a lot got added in. It all improved the book. When Penguin Ireland took it on I was delighted… I signed a one-book deal with Penguin Ireland, but what has happened now is that Penguin UK have really adopted it and are doing a big push on it at the end of March. It’s going to be in all the WH Smith shops in train stations and airports as part of a promotion. It’s going to be pushed more now in the Commonwealth countries too. The advance certainly wasn’t enough to change anything… Initially I was disappointed by how low the offer was and then I just thought, ‘You know what, I’m lucky to get an offer at all.” You have to be realistic. The days of six-figure sums are gone. However, the translation rights have been enough to keep me going for a year or two. I took a two-year leave of absence in September 2013. Last year was kind of manic… doing book clubs and library readings. My problem was saying ‘no’. If at all possible I will do it. I don’t like to disappoint people. So I would end up driving to a library in Graignamanagh to talk to a handful of people. And then I realised I had to start saying ‘no’. I would really advocate getting a professional editor… to have a look at your novel before sending it out to agents. There are lots of editors available on www.writing.ie. I would recommend Alison Walsh. She worked with me and very gently made me see where the flaws were. 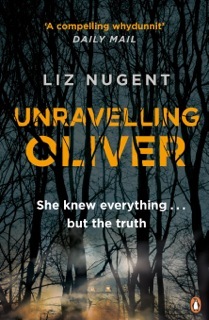 Liz Nugent’s debut novel Unravelling Oliver won the Crime Novel of the Year award at the 2014 Irish Book Awards. She is currently working on her second novel.